Photos courtesy of Fortnightly Club: The Queen Anne Fortnightly Club was founded in 1894 by Anna J. Sheafe. Anna Herr Clise, who founded the Children's Orthopedic Hospital, now the Seattle Children's Hospital, was one prominent club member. 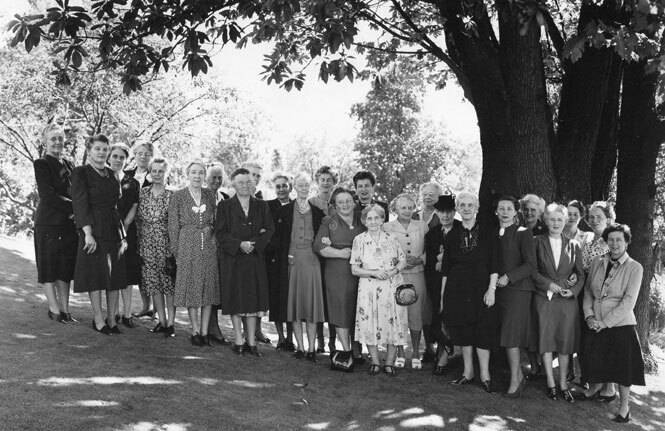 The Queen Anne Fortnightly Club in 1946. Today there are 27 members of the Fortnightly club. 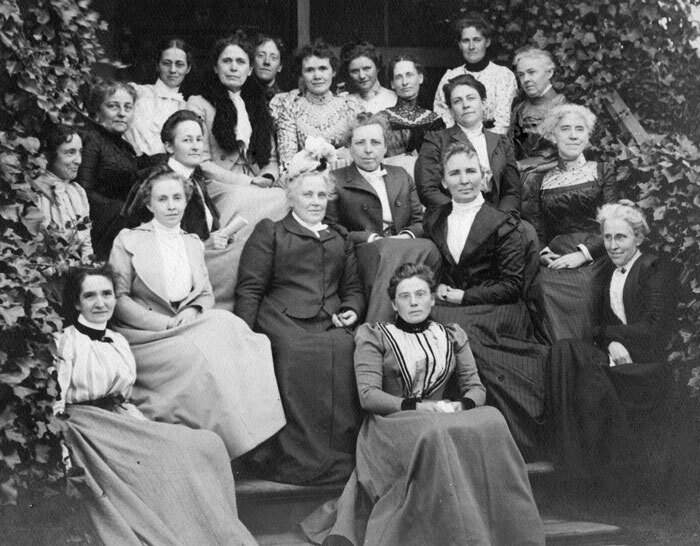 Women’s clubs ignited in popularity throughout the United States in the late 19th century. Even before they could vote, women wanted to better themselves and their communities. One of these clubs is still going strong today after 125 years — the Queen Anne Fortnightly Club. The first meeting was held at the home of founder Anna J. Sheafe on Sept. 20, 1894. The club’s primary purpose was literary. Members would give talks on topics that would change annually. Sheafe (1847-1920), served as president for 13 years until 1907. Her home at the corner of Queen Anne Avenue and Prospect held many meetings in the early years of the club. Another prominent member, Anna Herr Clise (1866-1936), was the founder of Children’s Orthopedic Hospital on Queen Anne in 1907. After her 5-year-old son Willis died of inflammatory rheumatism, Clise researched the lack of treatment for children in Seattle and called together several friends to organize a 23-woman board of directors, recruit physicians and create the first orthopedic facility for children on the West Coast. Located at Warren Avenue North, Boston and Crockett streets, the hilltop location served patients from 1908-1953. It is now the home of Queen Anne Manor, a senior living community. Clise and Fortnightly colleague Harriet Stimson (1862-1936) also advanced the first hospital guilds. Friends gathered monthly to support specific projects needed for patients. Member Nellie W. Lane (1857-1937) organized Queen Anne as the first guild, followed by Madison Park, Beacon Hill, Broadway, Denny Blaine and Renton. These early guilds later expanded into a vital network across the state and still provide ongoing support for today’s Seattle Children’s Hospital. Funding for the first ambulance in Seattle was initiated by the Fortnightly club in June 1899. Two years later members sent out a traveling library car filled with books, “The Fortnightly,” which traveled to remote logging camps. In this civic-minded era, women used their skills and influence to benefit a growing region. Annette Bocker (1896-1976) was featured in the Seattle P.I. for her work in science. She owned and managed a clinical research lab. Member Mary Bass Bayley (1874-1959) became a noted painter at age 78, inspired by her neighbor, Northwest painter Morris Graves. He encouraged her to paint with tempera, lifting her spirits during a time of grave illness. She went on to exhibit her work in a one-woman show at the Dusanne Gallery two years later. By this time the club had grown in its membership. Meetings were held every two weeks (fortnightly) and included a yearly evening social event where husbands could attend. Members in the 1990s gave speeches at meetings on international politics, China, the Olympic Games, immigration and Northwest foods and wines. The club’s extensive historical archives have reports from its earliest days to the present. 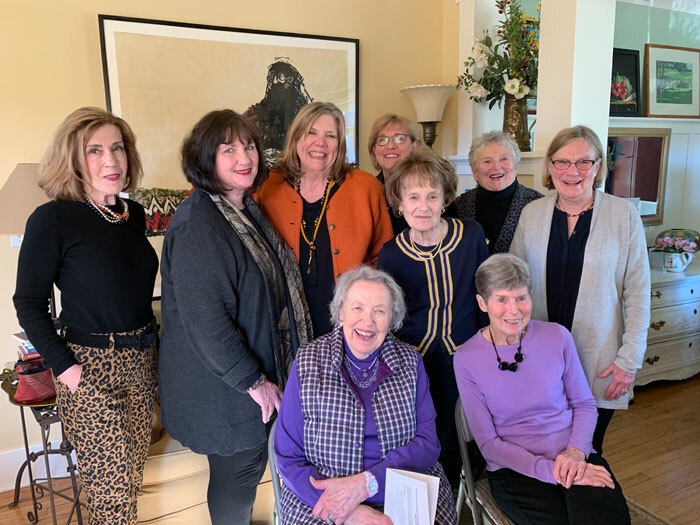 The modern Fortnightly club includes professional and retired women in the fields of education, aerospace, real estate, design, psychology and writing. Several women followed their mothers into the club and are active participants today. Member Gretchen Claflin is the first woman to be named CEO of a national graduate school of banking. Treasurer Kay Heron was the board chair of the Seattle Children’s Guild Association for two years and served on the Seattle Children’s Hospital Board for 25 years. Since Fortnightly helped launch the hospital and guilds in its earliest days, this recent service seems fitting. At its 125th celebration event last November, Betty Eberharter, Fortnightly member since 1973, gave a speech. The Fortnightly club today is a group of 27 members. We continue to learn so much from each other. This column was written with assistance from historian Pam Miles.